Midwest Fence is always happy to be a part of the Minneapolis Home and Garden Show. The show will be at the Minneapolis Convention Center on February 22-24 and March 1-3. Please stop by our booth, check out the latest products and then sign up for a free estimate. Our friendly staff is ready and glad to help with your fence project. This year Drew and Jonathon Scott (Property Brothers) will be headlining a packed celebrity guest lineup. They are multifaceted entrepreneurs, authors, twin television personalities and co-founders of Scott Global, which includes Scott Entertainment and Scott Living. Come see them in person at the show! This entry was posted in Uncategorized on January 24, 2019 by Dan. Order Your Midwest Fence Today! To no one’s surprise, our construction season is winding down. However, we are still installing and will cont inue to install until the cold temps shut us down. Remember, we have interest free financing for up to 12 months and a discount program also available. Even though it looks fantastic today, tomorrow we could be donning our long johns and snow flake sweaters. Please take the opportunity while you have it, and place your order for a new fence project; or that fence repair job that has stared at you all summer. We can help! Call or click, and order your new fence today! This entry was posted in Uncategorized on November 15, 2018 by Dan. Settling in to your newly built home but suddenly realize you need a fence because a pond is too close and inviting for your kids? Perhaps your dog can’t be trusted to stay in the yard? Whatever the reason, you find yourself looking for a local, experienced fence contractor who can help you select the right fence for your needs. Midwest Fence has been building Twin Cities fences since 1947 and has a team of experienced fence specialists who consult with our clients to make sure they have the fence they need and want. The first step is to know if you’d like the fence to offer privacy. Privacy wood fences are a typical choice, particularly for new homes. Privacy fences have no space between slats and, at six to eight feet tall restrict sight lines and access. Wood fences offer a style appreciated by many homeowners as wood offers a unique look that can be customized in a variety of ways. While treated oak fence posts and slats will withstand weather, regular maintenance is recommended to make the wood last. A similar look to wood can be found with PVC fencing. Posts are strong and the material can withstand the elements, particularly if not in full sun all days. Composite materials continue to come to market, providing a wood like appearance and functionality — nails and saws are used — but the boards are made from recycled fibers. If privacy isn’t a top priority, and you’d like the breeze and natural elements to flow through the fence there are a variety of options. They include a picket fence made of wood, vinyl, composite or aluminum. 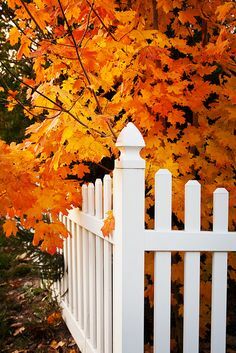 Chain link fencing offers similar functionality to picket fences. These fences provide an open feel, don’t typically need to be as tall and encloses pets and children. Call Midwest Fence to schedule a meeting with our sales consultants who have the experience you seek. Deciding to build a backyard fence happens for a variety of reasons. Pets, children, protecting a garden, securing a pool, providing safety or simply adding a new look to a property are all reasons. Making the decision to build is one thing, ensuring you have the new backyard fence you imagine is another. There are a variety of considerations when deciding to build, and we look at a few in this blog post. Building a backyard fence to last takes planning, care and attention to detail during fence construction. There are plenty of online resources with help for DIYers looking to build a backyard fence as a weekend project. Ensuring a fence is built to last requires quality materials and proven construction techniques. While these can be learned online, there is value in considering using an experienced, proven Twin Cities fence contractor for the job. Deciding the style of fence you seek is among the first choices. Should it provide privacy, or allow sunshine and wind to pass through it? Identifying the height of the fence to do the job you seek is another step. Is it designed to keep dogs and children enclosed and safe? Or, are you seeking some security, making it more difficult for people to get into your yard. Providing security is also a consideration for the material you are using. While stronger fence materials provide better security, the aesthetic of the choice is likely even more important. Seeking a more natural look to the fence? Try installing a wood fence, which come with a variety of designs and construction styles, either pickets spaced apart, or tongue-and-groove boards fit together and attached to cross beams. Weather-resistant aluminum fencing provides the traditional look of an iron fence as well as security as the strongest fence material. Chain link is also an option, providing security and containment as well as allowing light and sun through. Our next blog post will identify other factors to consider when building a backyard fence, including cost and environmental considerations. This entry was posted in Uncategorized on May 17, 2018 by admin. 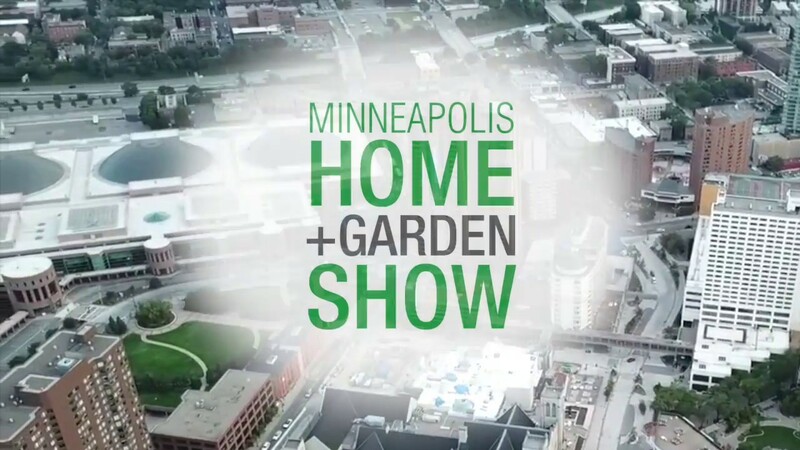 The Minneapolis Home and Garden Show will be held at the Minneapolis Convention Center on March 30- April 8. Midwest Fence has always been a strong supporter of the show, but due to the “big game” downtown, the date was moved to the end of March. Consequently, Midwest Fence will not have a booth at the show this year due to the late date. Don’t miss Paige Davis from TLC’s Trading Spaces on the main stage on March 30th and 31st. You may always receive a free estimate by clicking below. If you have received an estimate, don’t wait to place your order. Order today for the soonest scheduling by contacting your estimator or call our office at 651-451-2222. This entry was posted in Uncategorized on March 15, 2018 by Dan.